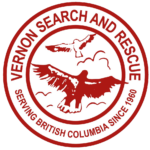 As reported in October, the NIF funded project to update the BC SAR Rope Rescue Program got underway at the end of September with the hiring of a Project Management Team comprised of Ross Cloutier, Tom Volkers and Phil Whitfield. Because initial delays in announcements, Ministry transitions and limitations within NIF budgets have left only 6 months available in which to complete the objectives budgeted for Year 1, EMBC and the Project Management Team are running a number of process steps concurrently. 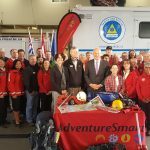 The survey to gather information on equipment and techniques in use and proposed was circulated on September 26 to an initial e-mail distribution list of some 70 names, including the BC SAR Association, JIBC Rope Rescue Instructors, commercial trainers, educational institutions, federal and provincial agency representatives and other interested parties. 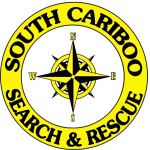 EMBC and BCSARA undertook further distribution to the various SAR groups. On November 3rd, the 38 responses received were referenced by a small focus group of subject matter experts who helped to draft terms of reference for priority research and testing considered achievable within the compressed time frame. 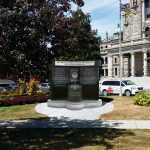 As required by the Province, the Request for Proposals was posted on BC Bid. 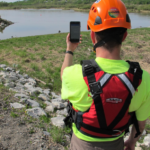 Although only one proposal was received, it came from a consultant well-respected in the technical rope rescue field, Basecamp Innovations Ltd. (Kirk Mauthner), and has been accepted. Kirk and a team of associates expect to conduct most of the testing in January and complete their analysis and reporting in February to meet the March 4 completion target. 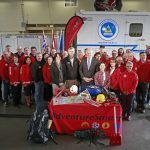 The PMT is proceeding on the premise that the BC SAR Rope Rescue training program should achieve several key objectives, notably competency, interoperability and affordability. 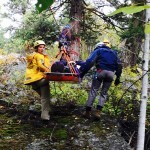 The project recognizes that competency (demonstrated proficiency in safely performing a task) is essential in this potentially high-risk emergency service. 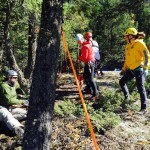 Competency can be achieved using a variety of techniques and equipment but all provincial rope teams also need to be able to default to common techniques and equipment when necessary to ensure interoperability. 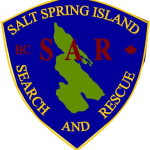 Interoperability improves the overall efficiency of the SAR system but it depends on consistent and regular training to achieve and maintain. 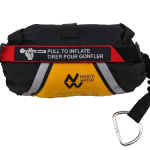 One of the biggest challenges of the NIF Rope Rescue Project will be to design and set up an efficient training program that can deliver competency and interoperability affordably within the financial capacity of government and the time and energy capacity of SAR volunteers. 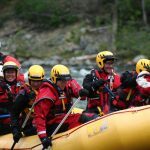 PMT members have been working on a “Competencies Matrix” for BC SAR Rope Rescue, similar to the one developed for BC Swiftwater Rescue Training in February 2015. 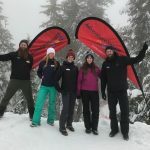 The rope competencies so far identified are essentially those presently expected of BC SAR Rope Teams and the intent is to use the survey input and testing & research results to update “preferred default” techniques and equipment for training in order to ensure interoperability. Assisted by discussion at the March Workshop, the curriculum development process will consider how the identified range of competencies can best be divided into a number of levels or modules for training delivery. An initial draft of the competencies matrix will be available to the curriculum contractor initially and a more refined version will be reviewed at the March Workshop. 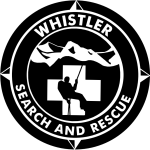 A Request for Proposals to begin developing a new rope rescue training curriculum is currently posted on BC Bid with a closing date of January 5, 2016. 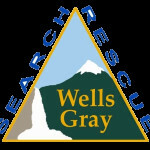 The successful bidder will participate in the March 11-13 Workshop in order to obtain broader SAR community input on the competencies matrix, consider the testing results and join in the discussion of training delivery models that will achieve the objectives of competency, interoperability and affordability. Workshop dates of March 11-13 were selected to avoid the school Spring Break period and the Easter Weekend. 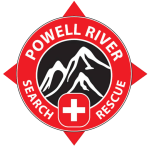 The workshop is intended to bring together representation from a wide range of stakeholders, including subject matter experts, instructors, commercial and educational trainers, SAR teams, agencies and other rope practitioners. Participants will review the project survey results, testing results, competencies matrix and curriculum development to date, and will discuss delivery options that will efficiently meet regional needs and the objectives of maintaining competence, interoperability and affordability. To keep workshop size manageable and cost-effective, the PMT expects to invite participants who can represent the perspectives of more than one interest group and also offer regional representation. Invitees will be asked to prepare for the workshop by networking with colleagues in their various “sectors” and regions to ensure that their views are represented in the workshop discussions. For example, an invitee involved in rope training for an educational institution would consult counterparts in other institutions about the topics to be discussed at the workshop. As noted above, the originally circulated tentative timetable has had to be tightened to ensure that Year 1 funding can be used efficiently before the March 31, 2016 fiscal year end. Primarily, this can be achieved by initiating the curriculum development process in January rather than waiting for the testing contract to end. Tentative timeframes marked * below are subject to further refinement. Our thanks to all who have contributed to this project to date. We continue to welcome input. 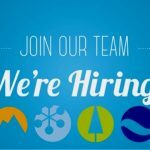 If anyone would like to work with us, would like more information about the project or would like to be added to a consultative distribution list, please contact us by e-mail. If you know of any other practitioners who may wish to contribute to the project, please invite them to contact us or join our distribution list through the same e-mail address.